Add a custom image to your diagram with the Custom Image tool in the Tools menu or in the toolbar above the diagram. After selecting Custom Image, click on the diagram to place the object. You can then choose a JPEG or PNG file in the Edit Object section of the right-panel (or drag & drop the image onto that section). 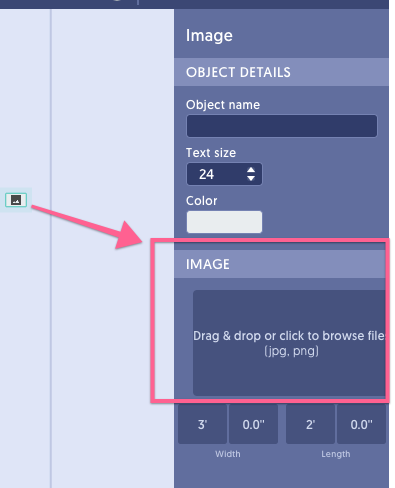 Adjust the size of the custom image with the Width and Length inputs in the right-panel.